"Steamboat a comin' " was a long-awaited shout heard from the observers downstream. As a resident of any frontier community, your desire to see the new growth of spring accompanied by the rising temperatures was only rivaled by your desire to see the spring rise in the river. You knew the rising river precluded the site of those magnificent tall chimneys, the sound of the incessant hiss of the steam exhaust, and the glorious tone produced by the whistle. The winter-weary, western settler was anxious for the arrival of the steamboats. For the new frontier community of Sioux City, the arrival of the Omaha meant supplies, visitors with news from back East, new settlers, and maybe the arrival of a long-awaited family member. 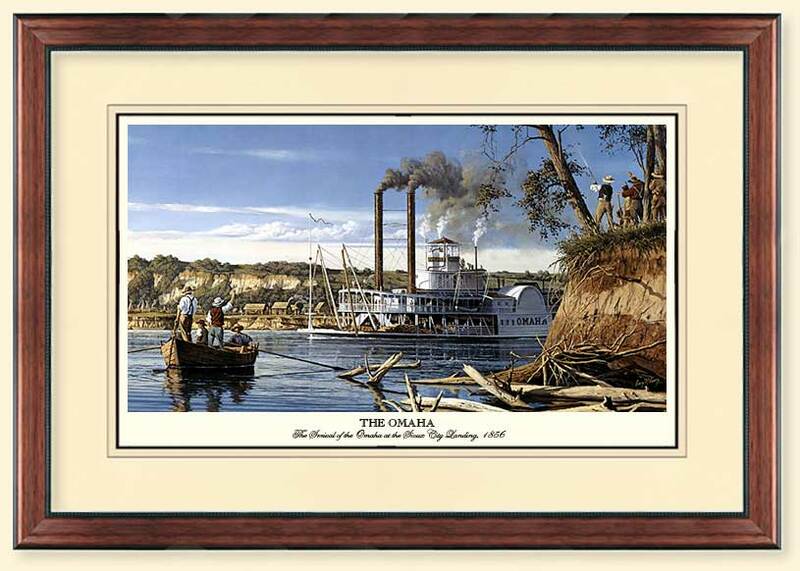 The Omaha was commissioned in 1856 by the firm of Tootle and Jackson to carry $70,000.00 of merchandise to the western frontier. Her merchandise consisted of food, fabric, hardware of all types, china, silverware, perfume, mirrors, jars and glassware of all kinds, firearms and gun powder, books, reading glasses, liquor, sawmills, prefabricated buildings, and the list went on. As the Omaha tied off to the bank, she marked the end of a 771-mile journey from St. Louis on one of the most unpredictable rivers in North America. 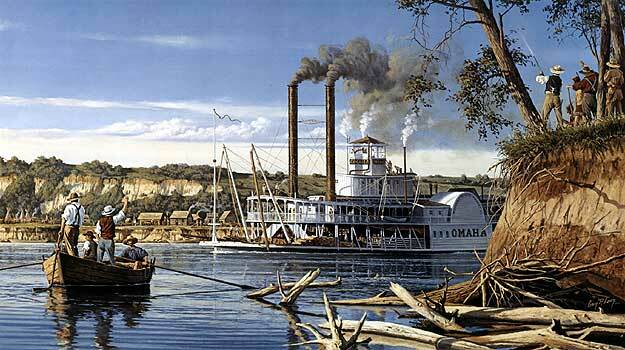 The Missouri River was referred to as the "river of sticks." The floods would wash thousands of trees into the river which, at times, created huge logjams. The large trees would become waterlogged and their roots would sink to the river bottom and become silted into the mud. With the limbs stripped away by the current, the tree would become an underwater projection waiting to impale an unobservant steamboat. The hidden sandbars, unpredictable currents, violent storms, heat, and cold were among the many factors dreaded by the early river travelers.